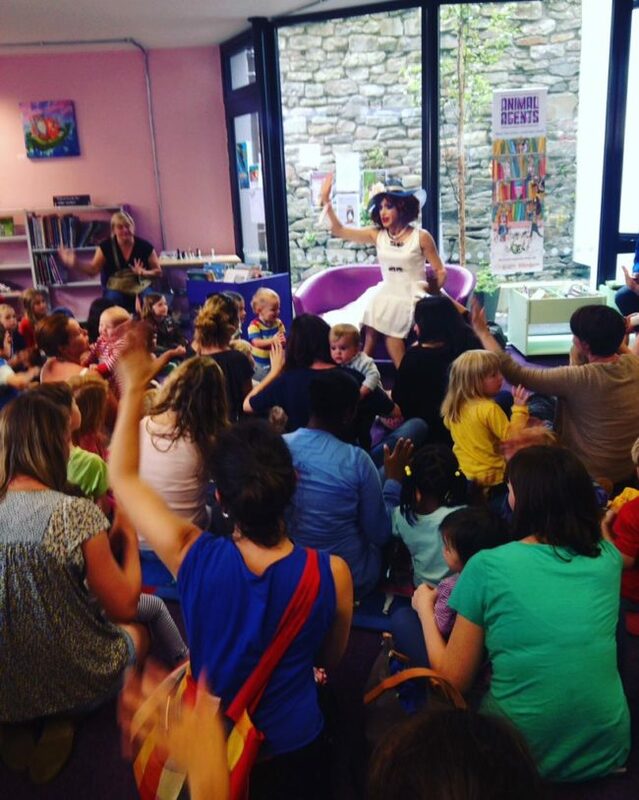 This week a library in Bristol became the first in the UK to hold a brand new event for children, Drag Queen Story Time. 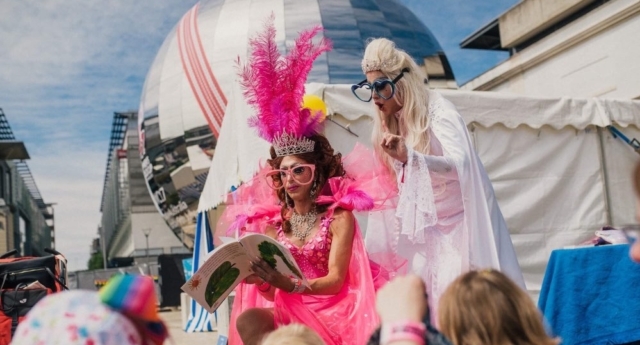 Yes, that’s exactly what it sounds like – stories read to kids, by drag queens. Thomas Canham set up Drag Queen Story Time two months ago, after seeing the success a similar programme has had in the United States. Drag Queen Story Hour, created by writer Michelle Tea and Radar Productions, began in San Francisco in December 2015 and soon spread to New York. Although Canham, a law student in his mid-20s, doesn’t exactly seem like a likely candidate for organising drag performances, he’s been a fan of drag for a long time, and knows a lot of the queens in Bristol. So when he heard about Story Hour in the US, he thought it was a brilliant idea, and knew he wanted to bring it to the UK. So far the journey has been “hectic,” Canham tells PinkNews, with lots of interest from parents, drag queens and media after only two months. They’ve performed at Bristol Pride and in Soho, London, and this Monday did two readings at Bishopston and Bishopsworth libraries in Bristol. Both events were oversubscribed, with over 100 people attending, and were a great success for all the family. And from the moment the drag queen walked in, he said the children were “enraptured,” delighted to watch someone who looks like their favourite cartoons come to life. 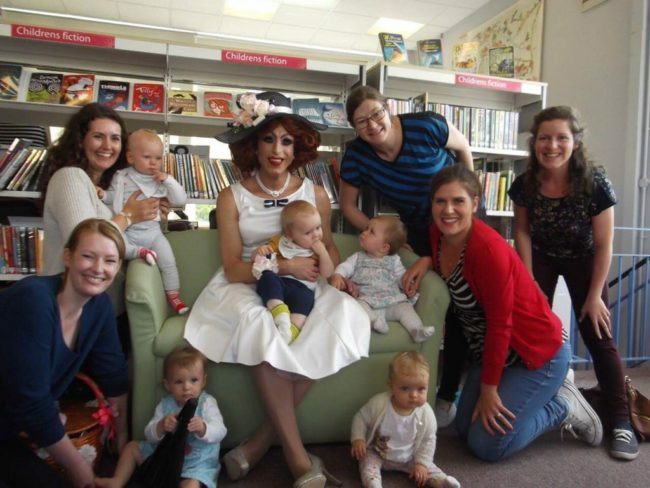 The queens read LGBT children’s books such as My Princess Boy and Jacob’s Dress, which Canham said he was recommended by the American Drag Queen Story Hour, as well as Little Red Riding Hood and Rainbow Fish – the old classics. There has been some backlash, particularly online, from people who believe these shows are inappropriate, or too adult for young children. Canham disagrees, saying that it’s important to start teaching children about these things early. “I would suggest that the issues we’re discussing will very definitely be playing a role in these children’s lives as they get older,” he said. And it’s about more than just the issues being taught, but the messages of tolerance, acceptance and freedom to be yourself, that come with it. “Let’s empower them to realise that it is ok to be you and to be the best version of you,” Miss Beaver, one of the drag queens involved with Story Time, said. Canham says he’s found that children are much more open than adults to something that may be unusual to them. In their five performances at Bristol Pride, they only had two children ask: “Is that a man in a dress?”. When told “Yes, it is,” they immediately accepted the answer, and continued playing. “They don’t see the same limits and restrictions that as adults we’re taught to, and I think that’s something that we should nurture,” Canham said. Canham says he hopes to create a strong foundation in Bristol, before expanding the programme to other parts of the country, and that he would definitely encourage people to start organising events in their own cities too. Drag Queen Story Time managed to initially launch the project using crowdfunded money, and have now set up another page to take donations towards expanding the Drag Queen StoryTime project, which you can contribute to here.